A lot of boxing classes try to cram in a lot in a small amount of time. You might start with a warm-up and a ‘short’ run. Then you’re doing skipping and some bodyweight exercises. Half the class is over with and the only boxing specific thing you’ve done is shadowbox in a mirror. Finally, the instructor pulls out the bag of focus mitts and you get to actually practice some solid strikes. You get to really work on your technique and timing. It’s not like sparring where as you’re thinking about what punch to throw you’re getting jabbed in the nose. It’s not like hitting the heavy bag which can sometimes be more of a cardiovascular exercise rather than a technique building session, if you don’t have the correct instruction. But with focus mitts you really get to hone in and perfect your technique. You get to go slowly and focus on how your hips turn and torque just right and work on the snap of your punches. Though of course, you can use focus mitts as a cardio workout in and of itself. Get someone to hold the mitts for you and really go to town. You’ll get in a brutal workout that’s far more gruelling than just a jog around the block. If you have like-minded friends or training partners who want to take their training further and not just confined to the gym, then getting a set of focus mitts can be a great idea. All you need is yourself, a buddy and a pair of mitts and you have nearly limitless potential on improving your boxing and your cardiovascular health and fitness. The deeply angled pads allow you to hit them solidly at a variety of angles without the pad holder having to bend over backwards to accommodate the strikes. Crosses, jabs, hooks, uppercuts. Everything. You can even throw some solid kicks at them too without your coach having to switch to dedicated Thai pads. The comfortable yet firm padding allows the pads to absorb the brunt of the strikes and spread them evenly across the larger surface area, leading to less pain from the pad holder and the striker alike. If you regularly hold pads for someone who has serious power, then these pads might be a good investment for you and your wrists. A good set of pads need to be just as comfortable to hold as they are to strike. This is something that is both understood and taken to heart by Cheerwing when creating this pads. The ergonomic design allows the holder to hold the pads comfortably without hurting their wrist or the pad flying off with each strike. This might sound basic but it’s surprisingly how some companies only put their focus on to the strike side rather than how the pad is going to be held. Though Cheerwing haven’t gone entirely the other way and neglected the striker. The high quality PU leather and high potency foam allow you to throw punch after punch and kick after kick without the pad warping, losing shape or with the material cracking away. These pads are available in several different style options; black with red edges, black with blue edges, black with yellow edges and even a delightfully gruesome blood splatter design. RDX are leading the way when it comes to high quality gear at cheap, cheap prices. A lot of their prices seem too good to be true but everything RDX make and sell is an excellent product, and not just because of the value for money. They use both their eva-lution foam and supremo-shock foam for highly-efficient shock absorption whilst keeping the mitt itself light and manoeuvrable. Both the inside of the mitt, where you hold it, and the outside of the mitt, where you strike it, are made of ultra-durable maya hide. This greatly enhances the life of the mitts, prevents the designs from peeling and helps stop the leather from cracking with use. To give the focus mitt holder even more comfort and to help them be more effective, Sanabul use a hand-shaped mould to fit the natural shape and contours of the wearers hands. As well as utilising a half-ball palm grip so that the mitt almost becomes an extension of the persons arm, rather than an external object. It allows the coach to really move swiftly and naturally so the striker gets a more natural and effective striking workout. The curved padding allows for the striker to work more angles and land different kinds of strikes effectively, rather than just straight strikes like jabs and crosses. This curved focus mitt features a minimalist design with each of it’s colour choices. You can choose from black and red, black and copper, black and silver and black and neon green. Holding the mitts can be surprisingly tiring and tough. It’s just as much a skill to hold them than it is to strike them effectively. That’s why it’s important that the mitt be as comfortable as possible. This Everlast mitt has a net over the back of the hand as well as using their EverDri technology to absorb the moisture off of your hands as it comes. To help you stay fresh and cool. This, combined with the new mantis shape and the padded hand and wrist support makes this one of the most comfortable focus mitts to hold, no matter how hard they punch. Everlast’s EverGel technology allow better shock absorption on the pad so that that shock doesn’t end up being dissipated on to the trainer or even back on to the trainees hands. With cheap, inferior mitts, the puncher can end up hurting their wrists or putting undue pressure on your hands due to poor shock absorption. So if you have weak wrists or have suffered discomfort in the past when punching the mitts, you should try these Everlast mitts out. Most focus mitts don’t require a lot of room, unlike Thai pads, so you can chuck them in your gym bag and use them before class to get in some extra training. 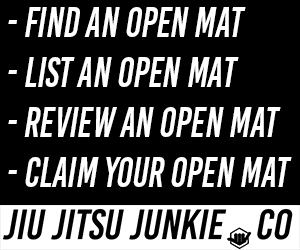 Even better if you can get some striking practice in before your BJJ class. As long as your instructor lets you of course.